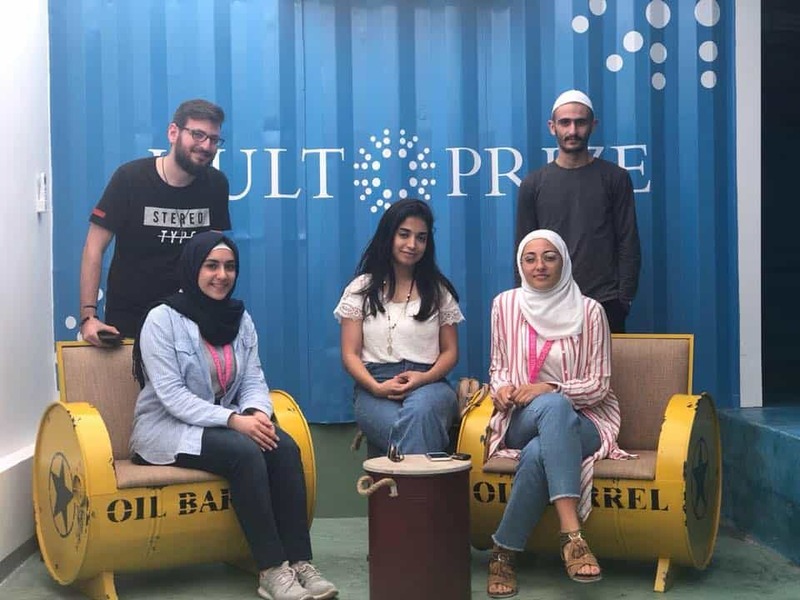 A group of university students has received $250,000 to develop heated mattress technology for refugee communities after winning the coveted Hult Prize Lebanon. The contest is an offshoot of the original Hult Prize, an annual, year-long competition established in 2010 wherein young innovators from around the world pitch ideas to solve a pressing social issue. HPL operates under the same structure, but on a smaller scale to effect change across the country. 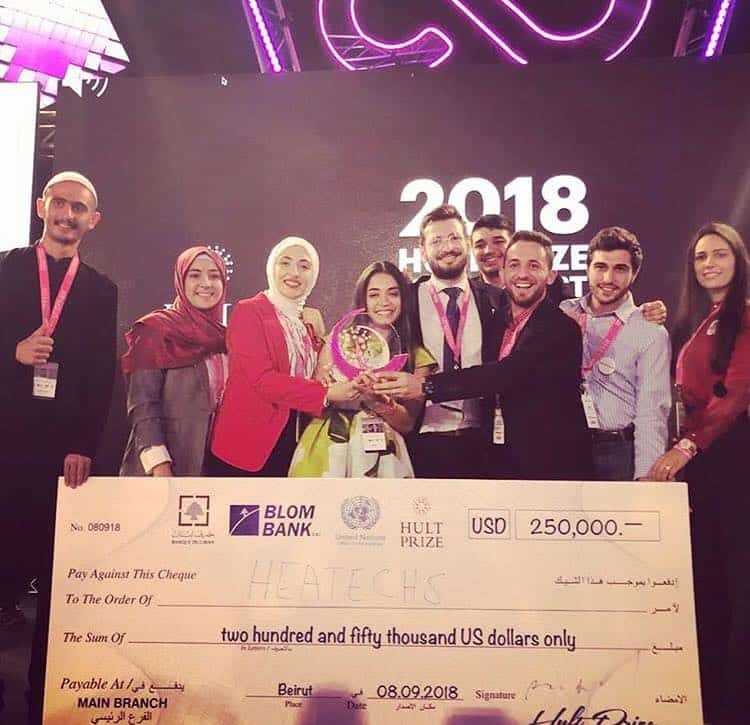 Led by Dr. Nagham Ismail at Rafik Hariri University, the winning team answered the call for socially responsible design with Heatechs, a startup idea to provide refugees with heated bedding during the cold winter months. The Heatechs team receiving their Hult Prize of $250,000. The way it works is this: The Heatechs device is technically an accessory that stores heat from sources such as the sun or a small stove. Once the gadget has fully absorbed this energy, it can reportedly heat a mattress for up to eight hours. Though appropriate for any time of year, the team says the solution could be particularly beneficial for refugees during the winter, a time in which many are forced to heat their homes using makeshift fires that are not only unsustainable, but potentially dangerous. While providing this technology to underserved communities throughout Lebanon might sound like a lofty goal for a burgeoning company, Choufi says the $250,000 seed grant will help tremendously. “We are now studying carefully how to spend the fund,” he told me. “We know that Heatechs, being a new concept of products, needs a marketing campaign and we are preparing for that. But most importantly, we are trying to start helping refugees for the coming winter.” He added that the group eventually plans to sell the device online and will partner with local NGOs to distribute them to those in need. The Heatechs team relaxing backstage at the Hult Prize ceremony. Hult Prize partners with the U.N. Sustainable Development Goals and the Clinton Foundation to provide $1 million in seed capital to worthy ventures. This year’s competition challenged social entrepreneurs to “harness the power of energy to improve the lives of 10 million people” across the world. Other competing startups included ones for renting power banks to charge phones, an eco-friendly groupcycling project, and a bus-tracking application. All images provided courtesy of the Heatechs Facebook page.